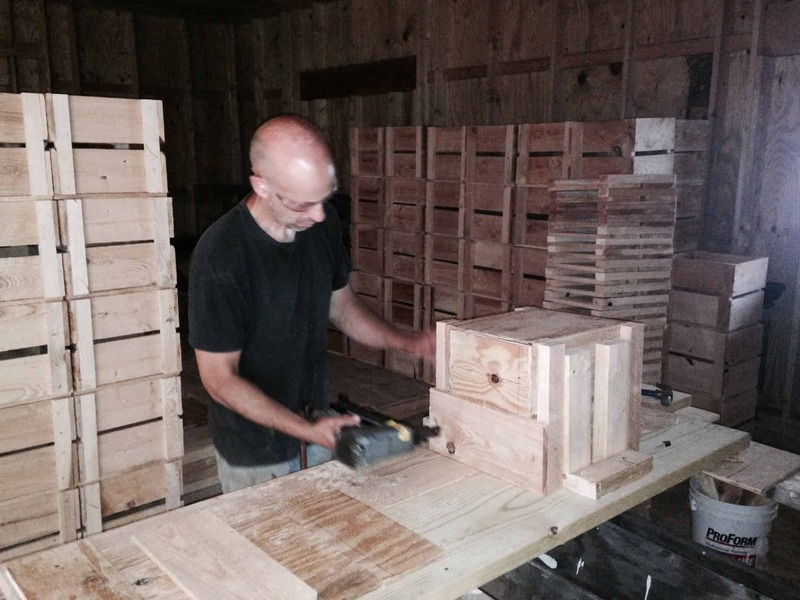 Eve’s is an orchard-based cidery producing Traditional Method ciders at the intersection of the Southern Finger Lakes and the Northern Appalachian Plateau. James brings the wisdom and masochism of a sixth generation orchardist. Autumn has the groundbreaking ideas and a brilliant palate. Ezra holds the whole thing together with a steady hand and a dark sense of humor. We work hard, we are often uplifted by the result, and we are battered and awed by the outside world together. 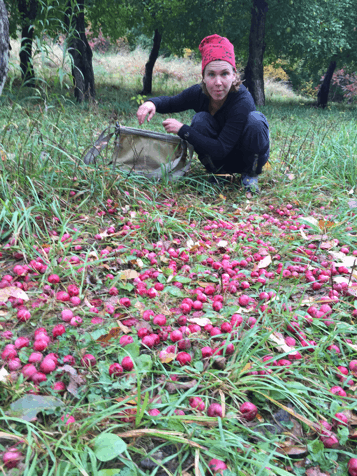 When she was 21, Autumn founded Eve’s Cidery with her waitressing savings as a way to prune apple trees for a living. She does get to be a pruner, but also a plumber, a label designer, an accountant, a tractor operator and a tank cleaner among other jobs. As a child, Autumn grew up immersed in painting, drawing and making art. 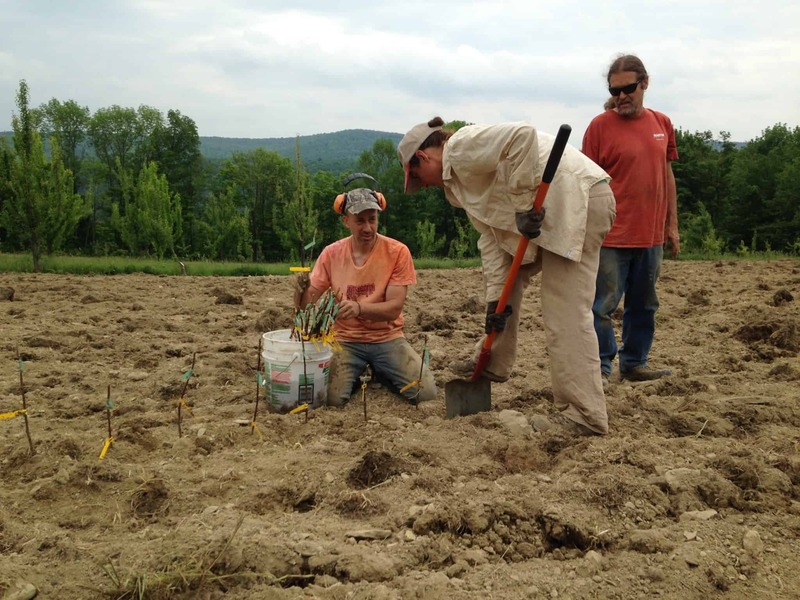 As a young adult, she became enamored with the hard yet meaningful work of sustainable farming. Ezra grew up in the hills of Spencer, New York with his artist parents. 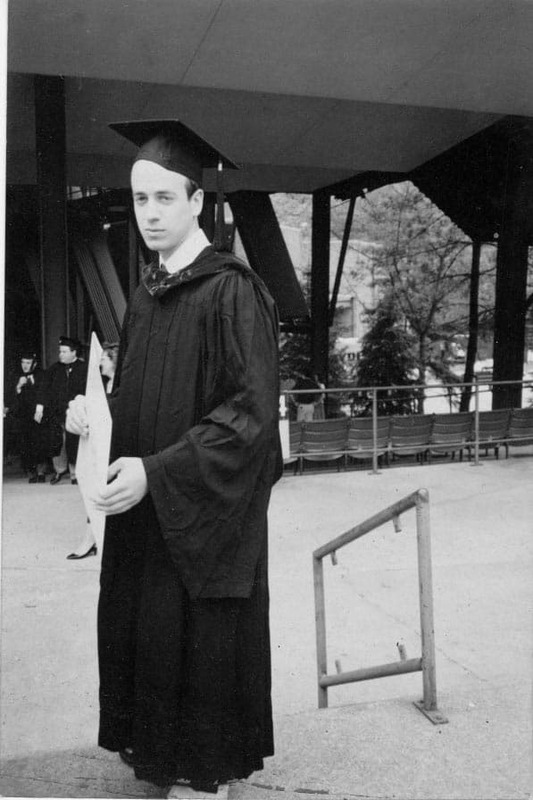 After high school he decided he was supposed to make something of himself so he got a good education and a solid career as a criminal lawyer: first as defense, then prosecution. At some point though, he found himself longing to make something with his hands. Coincidentally (or maybe not) that was right around the time he met Autumn. Ezra is happiest when building something, but he doesn’t mind fixing things either and there is plenty of both on the farm. 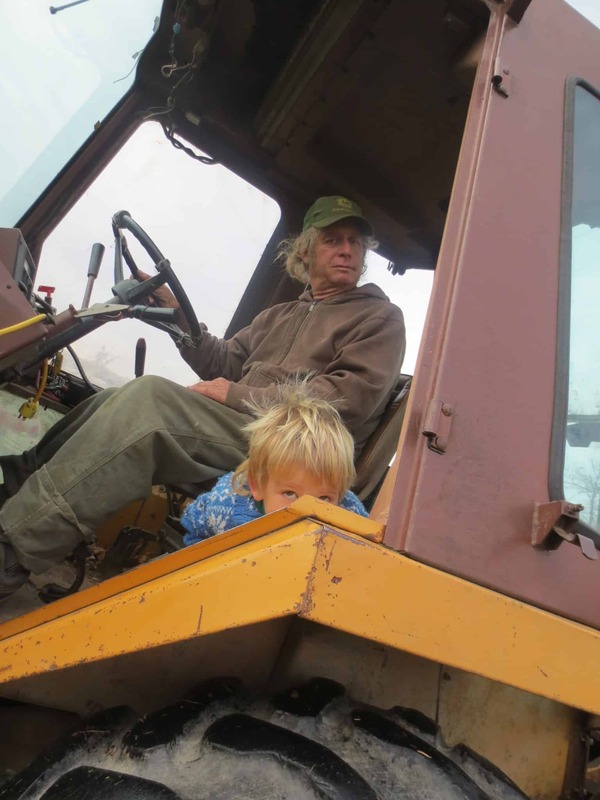 In the orchard and in the cidery, Ezra brings a steady hand to the drama of working with nature and infuses our work with an irrepressible sense of humor which keeps everyone laughing, no matter what. After being transplanted to New York from the 6th generation Cummins family farm in Illinois when he was a teenager, James made it his mission to start over and never leave a farm again. This bittersweet mantra has remained constant for James despite many twist and turns, and against all odds. Wise and tenacious, James lives and works with his trees, who he calls by name, never leaving them except to press and bottle at the cidery. Among his many skill, James has the innate ability to repair almost anything with almost nothing besides duct tape and a few bolts. Always kind and gracious, always there when needed, James is a direct conduit to the magic of the orchard. Originally from the Hudson Valley, Celia grew up as a dancer and a singer with a deep appreciation for nature. A graduate of Cornell University, Celia is a smarty pants with a dogged work ethic and humble nature; three invaluable traits for working on a farm. When she is not at her own homestead, tending to gardens, sheep and children, Celia acts as Eve’s right-hand woman. A Jill of all trades, Celia manages to do a dizzying array of jobs with grace and cheer. Lately we have been thinking of terroir as going beyond the commonly accepted influences that affect a crop’s characteristics: growing site, soil type, weather, variety selection and pruning methods, for example. Now we are considering: what influence do the life stories of the humans involved have on the qualities of the cider – an embodiment of innumerable choices along the way that no other group of three people would have made. A bottle of cider is a way to communicate: a place, a time, a deeper meaning. It’s an expression too, of the people who make it – who tend the trees and look after the yeasts. They are guardians of some still mysterious process that transforms fruit from the tree into pleasure for the table. So somewhere in every bottle is the story of us as well: who are these people, these apple growers, these cider makers? We think the terroir of a bottle of cider is the origin story of us which goes back before we were born. And so we involve ourselves in the formation of a liquid that through aroma and taste can itself transport someone to a past experience or place, because the real reason we do this is to feel we are expressing ourselves. Who are we each in a sentence? Let’s take the question of impending disaster, which is the story of farming. James would relish the idea that doom is near and find hidden meaning in it because farming for so long has left him a masochist and a visionary. Autumn would fight like a wildcat and come up with a solution that is original and unprecedented because she has rejected the inevitability of society’s conventions most of her life. I would slowly come around to the solution and work and invent to get to the safety zone. We all can work and work and work. We need your money to pay the bills. We need to think that no one could do it close to the way we do it. James is impossible to more than partially understand – generous, obstinate, a prophet, tough, completely wacked. One wonders if he is the way he is because of DNA, his childhood, alcohol, an entire life of hard work, the stress of seesawing between years of slim profit and debt, or mistakes and crop killing weather beyond his control. Perhaps a traumatic head injury 10 years ago, that paralyzed James and put him in a coma for 2 weeks, helped. The hard work is still there but now with double vision, nerve pain and weakness on his left side. Nevertheless, James is way smarter, so he says. The DNA, the childhood, the early formed perspective which is beyond our time with James, is still accessible thanks to the fact that his dad, Dr. James Cummins, is still alive and wrote a short book of reminiscences. Dr. Cummins is a member of the World War II generation, going to war in Europe as a teenager and coming home alive, weeks ahead of his father who fought in the Pacific, to find their orchards overgrown and partially gone. James is a child of that: farming and war, loss and tenacity. Dr. Cummins’ fond memories are of a child of 12 when he was allowed to direct one of two wands of a huge dilute sprayer, washing over large apple trees with nasty chemicals, and then after coming home from WWII, driving an almost new tractor he bought with his army savings, over a hundred miles, to pick up a piece of equipment, sleeping overnight in a Town along the way. The highs are high with farming and the lows are low. The highs for Dr. Cummins included raising five children outside doing something real. For someone like James, a farm can present freedom and build problem solving skills like no other childhood. But contrary to what many people believe, farming is not freedom for the owners. It is a business with an all powerful, fickle partner: the weather. 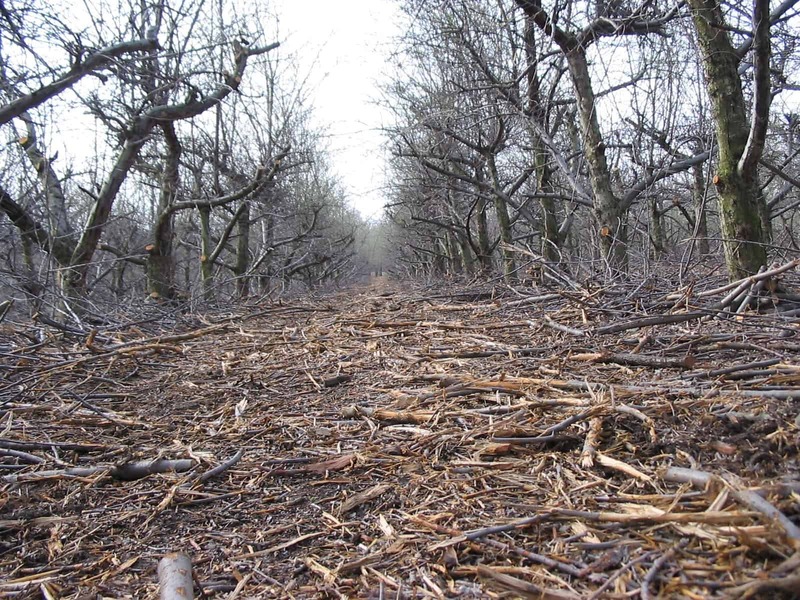 Crop loss from freezes, hail and pests and mating production to the tastes of the public is a grind. James Sr. diversified. He left farming and got his PhD in plant science. Over his career at Cornell University Dr. Cummins helped to develop the Geneva line of apple rootstocks. He started Cummins Nursery, with his son Steven. I mention this because it is impressive: the G series is one of the primary rootstocks used in the U.S. and Cummins Nursery ships tens of thousands of trees each year across the country. We use the Geneva series: most of our trees are grafted or budded to it and so Dr. Cummins life work has become part of the terroir of Eve’s Cider. Ask a farmer, “what would you do, if all signs show you will lose everything if you continue to farm?” James would fall into the crowd, “work harder and keep farming.” I wonder what would have happened to James if he hadn’t met Autumn in 2001. 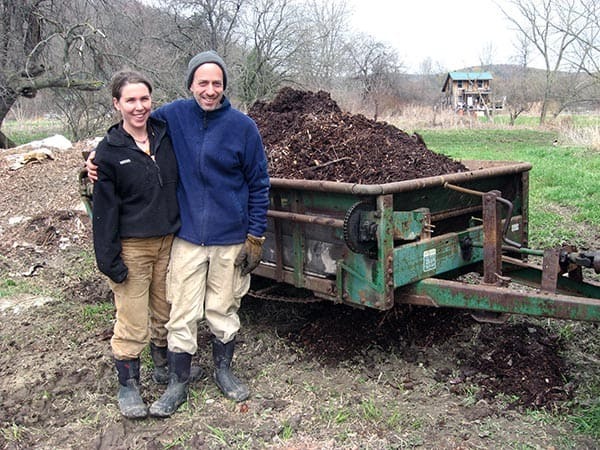 At that time he owned a u-pick orchard outside of Ithaca, New York with his ex-wife and her partner and was plumbing the possibilities of how hard he could work to keep the farm alive. At that moment in the Fall of 2000 Autumn had just turned 21, James was 55 and she drove up to Littletree Orchards and asked for a job and he hired her on the spot. If James’ arrival at farming was predestined by five generations of orchardists before him, Autumn came to farming because of an experience. When she was 15, Autumn took a summer job at Butterworks dairy farm, in Westfield, Vermont, owned by Anne and Jack Lazor. Google Butterworks Farm and you may get a sense why working on that farm could be a milestone in a young person’s life: a dramatic Vermont landscape, fields so lush that you could imagine the grasses standing up even after they were cut down low with a sickle bar mower. The Lazors were pioneers in organic dairying, creating a mostly on-farm loop of growing food for their cows and fertilizing their fields with cow compost and cover crops, powered by the sun. Their main product is organic yogurt produced by their Jersey herd, but they also grow grains and dry beans, separated and stored in a granary that they built, looking like it was lifted out of a Midwest landscape. There is something about being around smart people who don’t feel confined by convention, who are turned on like a druggy and bring the awesome power of the human mind to the daily obstacles in farming. Take this and add the availability of big, specialized machinery and amazing land and see how you feel when you are around it, for a summer, as a teenager. In the summer of 2002, Autumn hosted the opening of Eve’s Cidery, with her partner James, at his u-pick. She had purchased the equipment and sent herself to England for a short course on cider making, on money saved working as a waitress. Eve’s started out motivated to use the fruit that dropped on the ground and was wasted, but an article in Fruit Growers News changed that philosophy. It told about this orchard owner from New Hampshire – Steve Wood – who had traveled to England and brought back scion wood from apple varieties specifically bred or selected for tannins and acidity for cider making. In the winter of 1999, Autumn dropped in on Steve Wood. She left hours later with sticks of these varieties that he cut from his top grafted trees. Steve, with his gracious response, taking Autumn seriously, was the third milestone in Autumn’s farming career. Autumn is the smartest person in the room but she doesn’t usually want to be in that room. An ideal day is to get-up early and prune until dinner. Book keeping and commerce are soul sucking. Artistic expression and saving land through farming makes her happy. 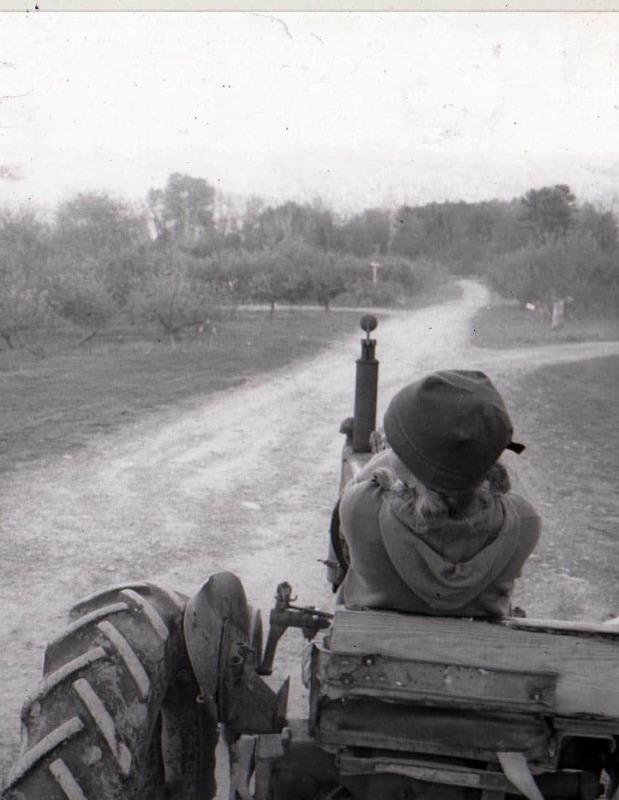 A slide show of good memories: An old black and white photograph of Autumn on a 1960’s John Deere tractor, her arms folded, looking to the side; calling a group of friends together to form Shaleshock – one of New York’s most effective anti-fracking organizations; running the show on camera with a Fox News reporter interviewing her on fracking; any time she laughs; seeing Leila and Zuri every day. 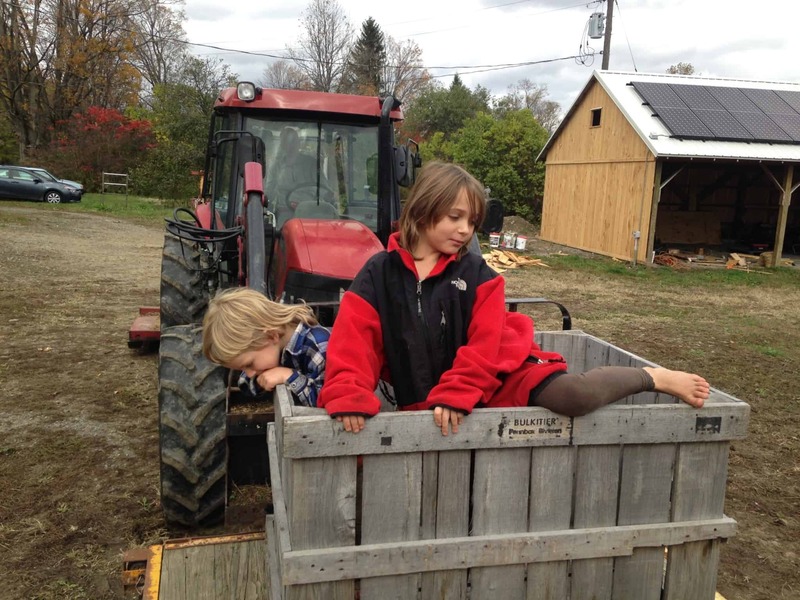 Autumn is the one at Eve’s Cidery with the one-in-a-thousand palate, the outside the box thinking, the voice for the land and the social conscience. 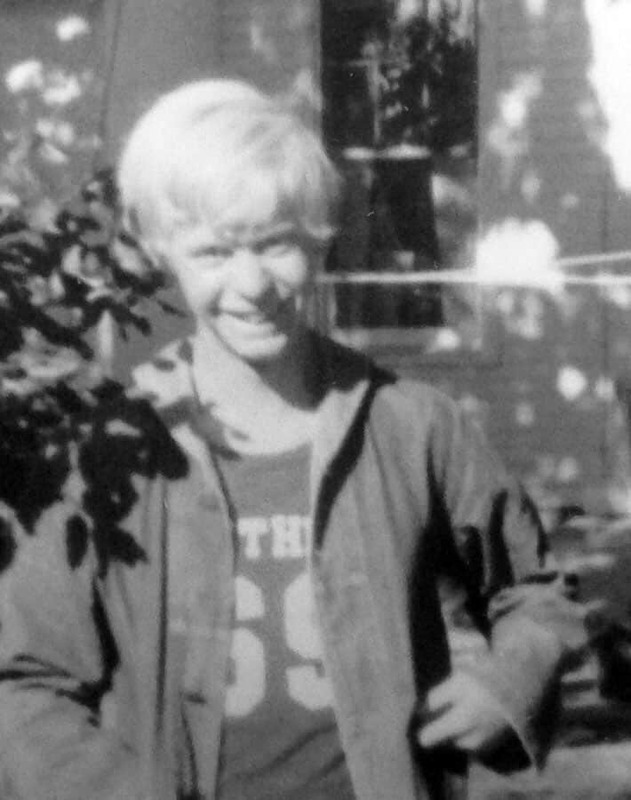 I would say that a person’s childhood experiences mold them indelibly: it’s very difficult to change the person you became as a result of coping with hardship as a child, later in life. I also feel that the role school has in shaping a person, can’t be overemphasized. I grew-up in a rural area with artist parents who moved to the country from New York City. For me, my childhood was great, but my teenage years were rough. I dealt with my feeling of being an outsider in school by appearing to not have any feelings. That character trait, of being unaffected, was reinforced for many reasons along the way. But it certainly served me well when I was a defense attorney and then a prosecutor, when I was in front of a jury and would sometimes see my case dissolve in a few moments. Holding the value of not complaining (and not reflecting) and soldiering on got me through law school and got me from being very shy to being able to speak in front of a crowd as a trial lawyer, but after around 15 years of that, I was ready for a different life. Meeting Autumn was one of the big benchmarks in my life. As a professional, I had maintained a connection to my rural childhood through gardening, winemaking and blacksmithing- weekend hobbies. But never before had I thought of a job working with my hands outside, as the central part of my life as compared with an indulgence around the periphery. 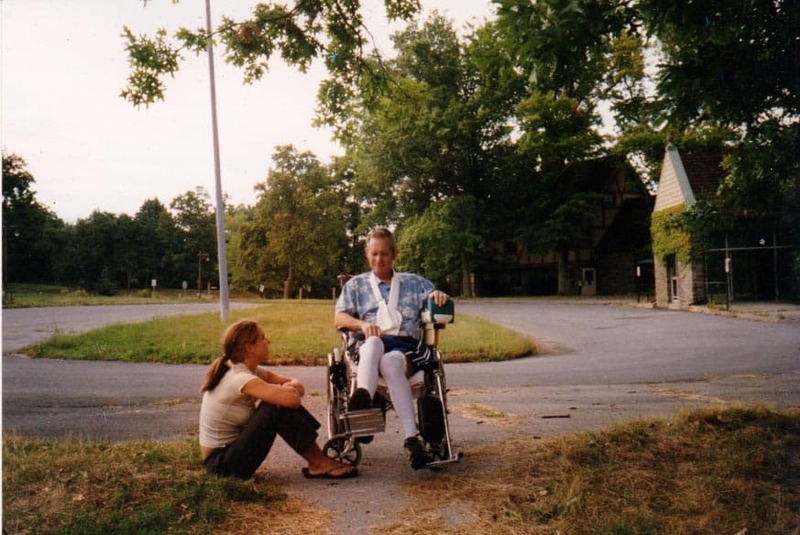 I remember in the Fall of 2004, Autumn took James to Turino, Italy for a week for Slow Food’s Terra Madre convening. While they were gone, my friend Gurn and I picked the Mutsu’s and hauled the crates to Ithaca to Steven’s cooler. It was a perfect week, picking the big trees on ladders in the drizzle, with breaks to haul the loads to Ithaca in my old Toyota 4x4. Autonomy, hard work, friends, food. And then there is the funny story of Zephyr and the truck, which also stands out in my memory of that time. 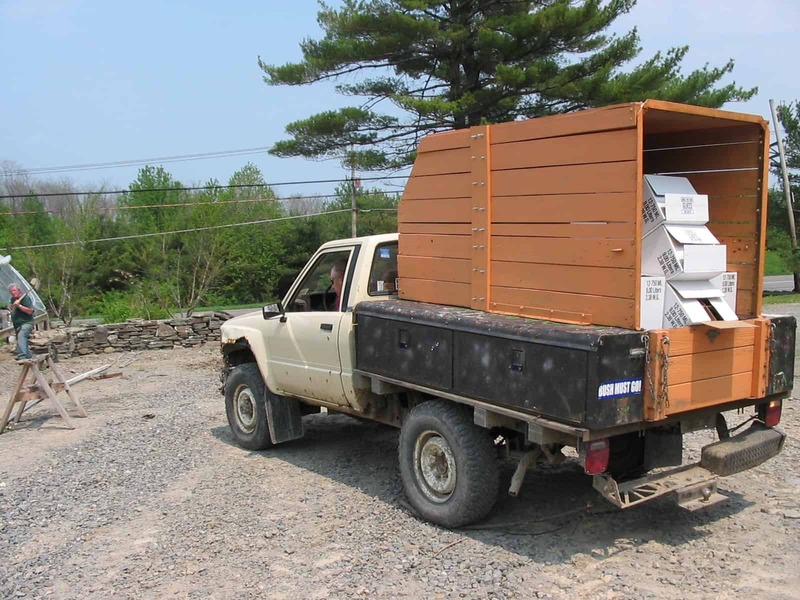 Autumn and James had an ’87 Toyota 4x4 truck that had been welded. The truck was humped like a peaked roof because the mechanic had welded the frame behind the cab after jacking it up at the break. It had no rear brakes and had to be downshifted to slow down. It was the evening and I was about to drive the sketchy truck from the orchard to the Ithaca cooler with a load down some long hills and I was trying to figure out how to shift the thing while Autumn, James and the Gurn watched: it felt like all the gears had been randomly re-assigned a position. Zephyr, James’ beautiful, cockle-burr laden nitwit of a Samoyed dog was sitting expectantly next to me. After a joking “good luck”, Autumn paused for a moment and walked back to the truck. She opened the door and called Zephyr out, not wanting to risk his life. That moment also showed the best of farming: a shared joke after a productive day and a bit of danger in a beautiful setting. There is that part of farming which calls for pushing-on through unpleasantness. So maybe I have found the right profession for my personality? If that seized on rotor doesn’t come off now, it will eventually; there is almost always something else to try. The empowerment you gain from feeling you can fix most breakdowns or put up a structure is a great trip. My hope for my children is that they can feel that comfort around machines and building, at some point. There has to be an aspect of terroir that reflects experimentation, or rather risk taking, or rather continuing to try new things even after making mistakes. That certainly characterizes the three of us: Autumn motivated by an inspiration, James because risk is exciting, me because I forget how we are supposed to do it anyway. And so, for example, this spring we planted an orchard here in the valley (defying the wisdom of planting on a hillside for air drainage) where there is a deep gravelly loam and on large rootstocks with 30 foot spacings between rows. We raced to put up an 8 foot deer fence while the deer were eating the trees and irrigation during a severe drought. We have been here before, believe me. But I can still imagine long rows of 30 foot tall trees with hay growing in the alleys for mulch, maybe a grazing dairy cow, like in France. When I was a law student I heard a well-known lawyer say in his closing argument that selflessness is planting a tree that you won’t see grow to maturity. We all want to see those trees grow up; we fantasize what we can make with them. But you won’t know for some time what your experiment with growing comfrey between trees or seeding the soil with nematodes, will do. It’s the nature of a tree crop and that the resulting subtleties must then be` translated via fermentation into cider. I think it’s the magic and the mystery of what will be – the terroir – that grabs us and keeps us here for now. Good Cider Begins in the Orchard. Welcome.